Craniofacial surgery is the term that describes several surgical procedures used to correct issues with the head, skull, face, and neck. 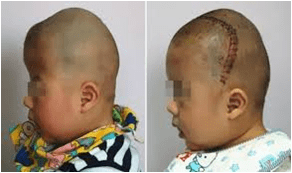 So if wanted to do craniofacial surgery then visit elite cosmetic surgery center where we provide all treatments to remove congenital and acquired abnormalities at the affordable cost. To Experience the New Technologies Treatments in Nashik, Visit Elite Cosmetic Surgery Center for Best Craniofacial Surgery in Nashik.